Tata Motors is dreaming big. The Indian automaker is aiming to become the number three in the market by 2019. In order to conceptualise its vision, Tata Motors is believed to be working on a premium line of dealerships like Maruti Suzuki's Nexa. While manufacturers like Maruti Suzuki, Hyundai, Volkswagen and Honda have been creating new segments to attract customers, Tata is falling behind. Its product portfolio presently caters to less than 60 per cent of the automobile market. Now the carmaker is planning to launch a couple of premium products, including a hatchback, an SUV and an executive sedan. The runaway success of the Maruti Baleno and Hyundai Elite i20 proves that the premium hatchback is a go-to segment. It is no surprising that Tata Motors doesn't want to be left behind. Tata's premium hatchback is reportedly to be the code-named X451. Based on Advanced Modular Platform (AMP), the upcoming premium hatchback will be powered by a 1.2-litre turbo petrol and a 1.5-litre diesel. The Tata Q501 is the possible premium SUV. Though no details are out yet, it's believed that the SUV is going to be Tata's first Land Rover-based product. However, the Q501 isn't getting launched anytime soon before 2018. The premium dealership may also add the recently launched Hexa to its products list. Priced at Rs 11.99 lakh (ex-Delhi), the MPV is available in 2.2-litre diesel engine with two states of tune. Available in nine different trims, the Hexa looks more modern than the other MPVs in the market. As Tata Motors is planning to focus also on premium products, segregating its sales channels would be the next logical step. Nexa has done wonders for Maruti Suzuki. Launched on July 23, 2015, the premium dealership has already completed its 200th showroom. Maruti Suzuki is also aiming to double Nexa outlets by 2020. Though 2017 may not be the year of Tata premium dealerships, Tata Motors still would have a busy year. The carmaker is launching the Kite 5 as well as the Nexon by the end of this year. 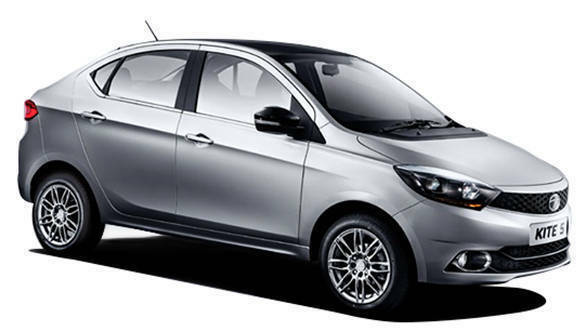 While the Kite 5 will crowd the compact-sedan segment, the Nexon will be placed in the sub-compact SUV space.